Oh Danielle LaPorte, how I grovel at every turn of your pages. 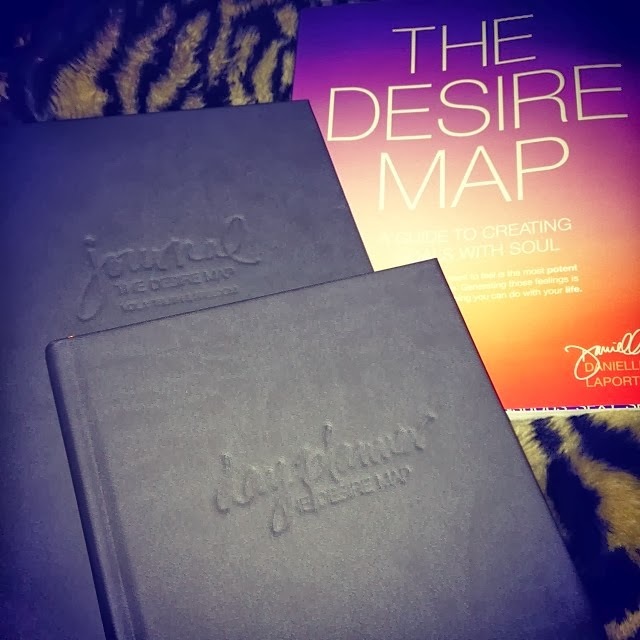 Here is the Amazon link to The Desire Map, which is gorgeously written and contains within its covers two parts - the guiding text, and the soul igniting workbook. If you need help allowing your soul to speak more loudly, or to give yourself permission to feel more and to allow those feelings to light your way, then treat yourself. How do you want to feel? Whether you know it or not, how you want to feel fuels most of the decisions you've made in your life. That job you held on to; you desired to feel accomplished. That pair of shoes you bought; you desired to feel indulgent. That hot piece of man you've recently allowed in; you desired to embrace your sexiness. Most of us have been raised and hard-wired to do what we have to do to make it - to play nice with everyone, settle for a job we hate, stay comfortable within the proverbial box, even if we aren't happy. Don't you want a map out of that nonsensical box? Danielle will take your hand and lead you toward the stuff that lights you up from the inside out. She'll teach you how to work your way through the funky stuff and give you permission to feel your way into the wonderful stuff. I am feeling more deliciously luminous already.